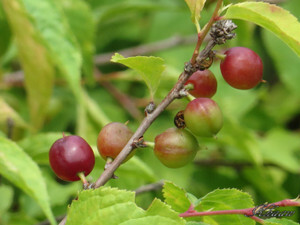 As I wrote on the east garden generally, but this time I would focus on some flowers and fruit in the garden. 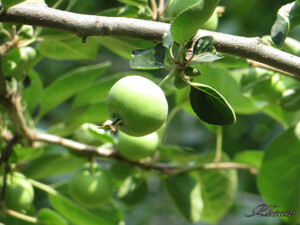 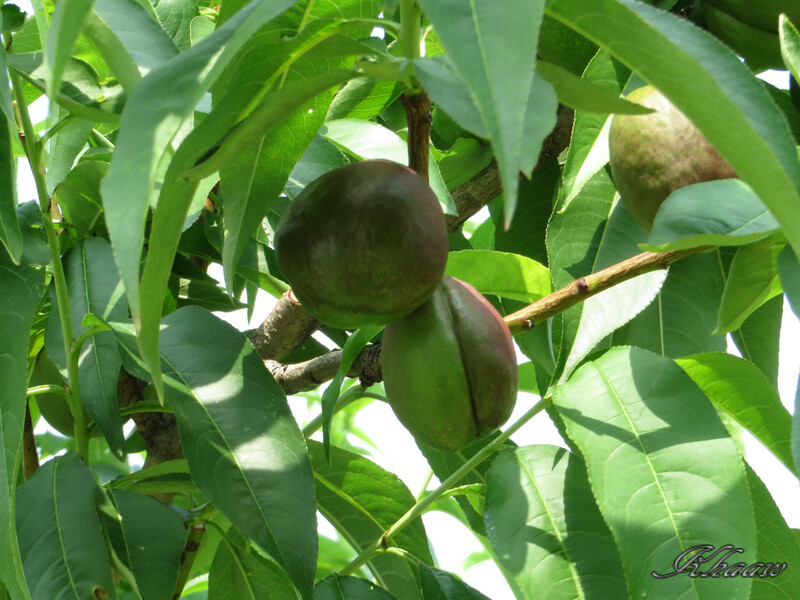 In the garden, many garden flowers and fruit tree are planted also natural wold woods and old traditional fruit varieties are conserved as well. And you can find trees or flowers for which best time to see easily by downloading a map from website of this garden, address of the website is here. 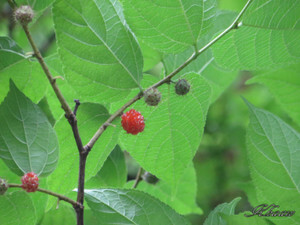 This tiny red berry of "small paper mulberry" similar to mulberry and used be as a paper material, I can find a place of tree easily using map provided by the website. 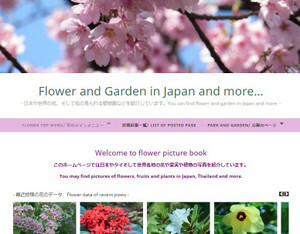 なお、写真をクリックすると大きくなります。 It is possible to see a large picture by clicking. 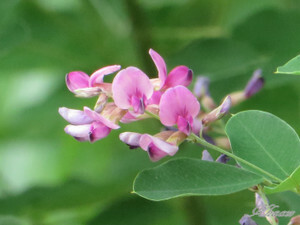 A flower of Morrow’s honeysuckle is resembling flower of honeysuckle but has unique shape of berry is looks like gourd-shaped and called "hyoutanboku" meaning gourd tree. 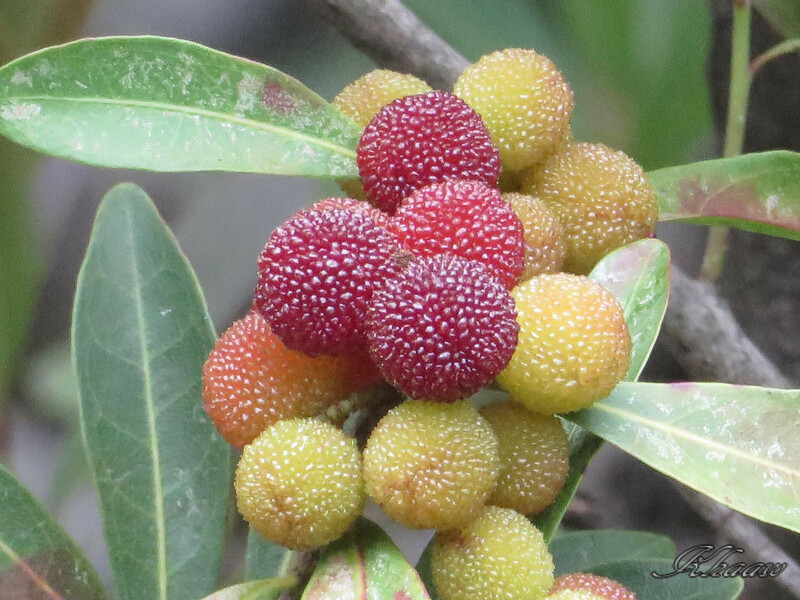 I was able to take good shots of colorful Chinese bayberry, which has many colors by different matuturing stages. 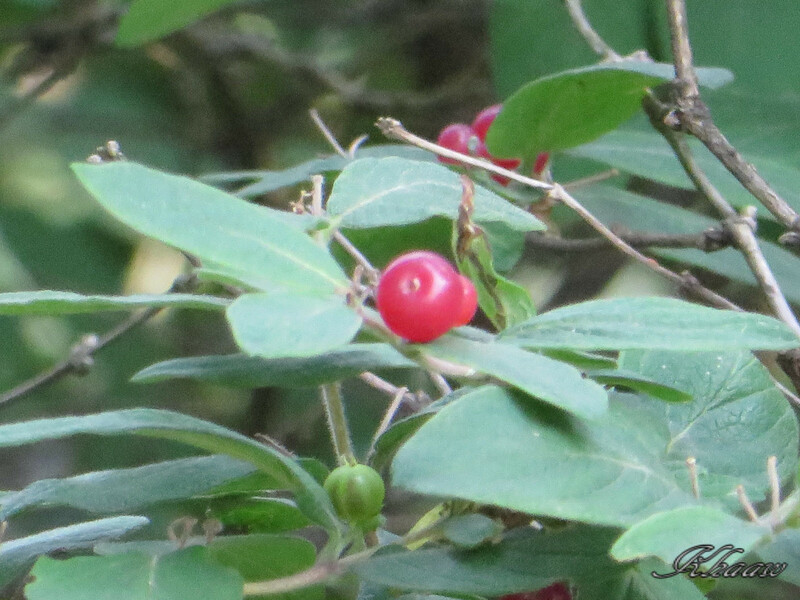 Berry of Japanese bush berry can be tasted very good. In a orchard for old Japanese varieties, such conserved Japanese apples or peaches are important for visitors as well as Japanese culture. 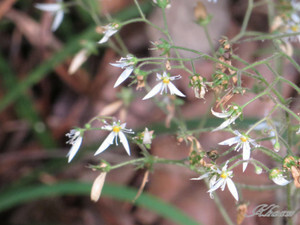 It could be very tough to find small flowers in woods such as strawberry geranium or bush clover without the map. 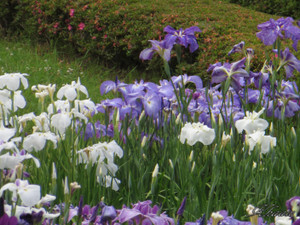 May be I could find Japanese iris without map,it is certainly useful to make walking plan in the garden with this map.